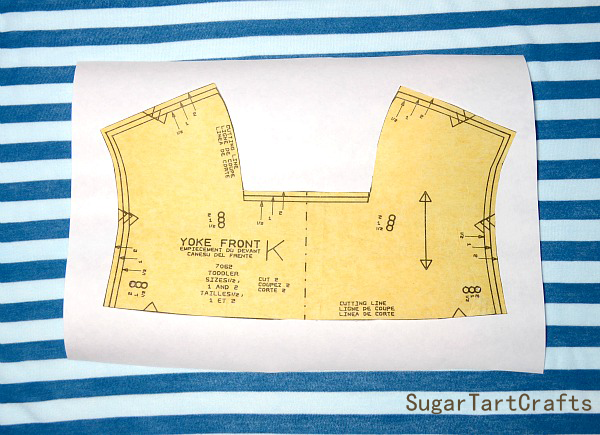 Sewing Tips & Tricks: Cut Sewing Patterns Perfectly Every time! 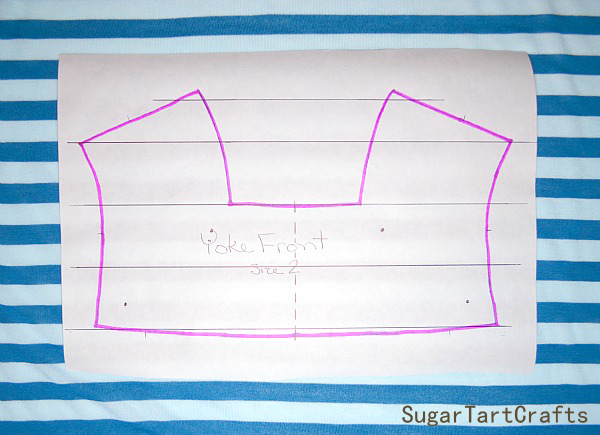 Choose your pattern, and trace it onto the flat (non-shiny) side of a piece of freezer paper. 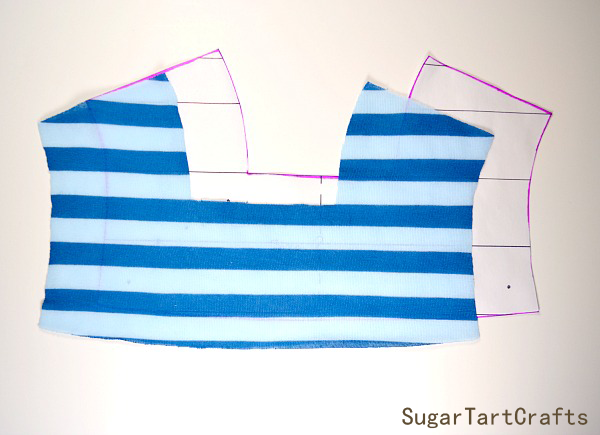 that will help you align the pattern pieces with the stripes or repeats. 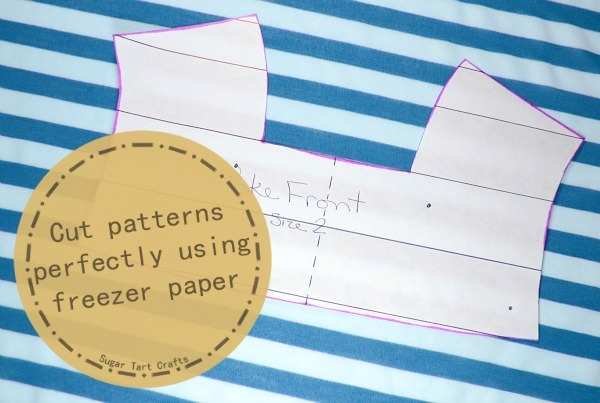 Cut your pattern piece from the freezer paper and align it properly on the fabric. 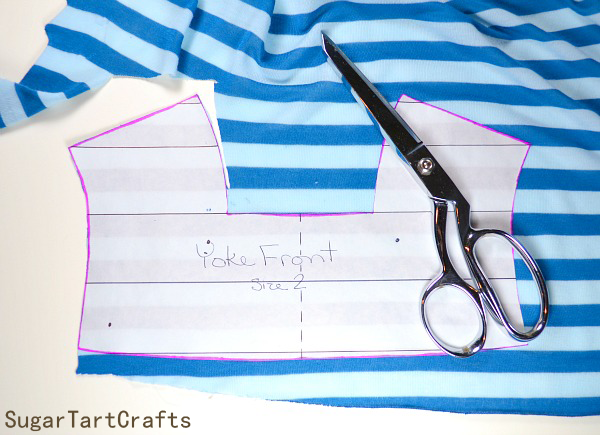 Carefully iron the pattern piece in place shiny side down. 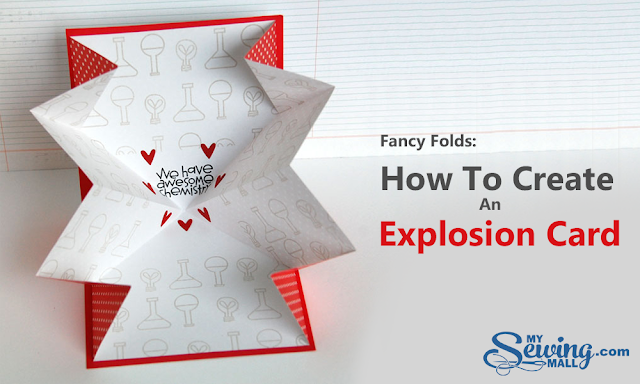 Cut out you pieces without worrying about anything shifting! 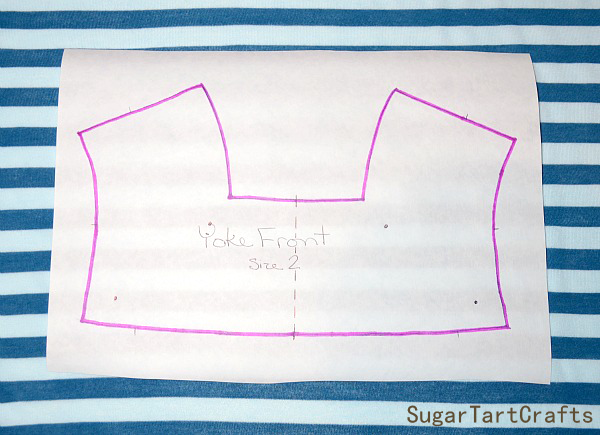 Peel the freezer paper from your fabric and continue with your sewing. How cool is that? 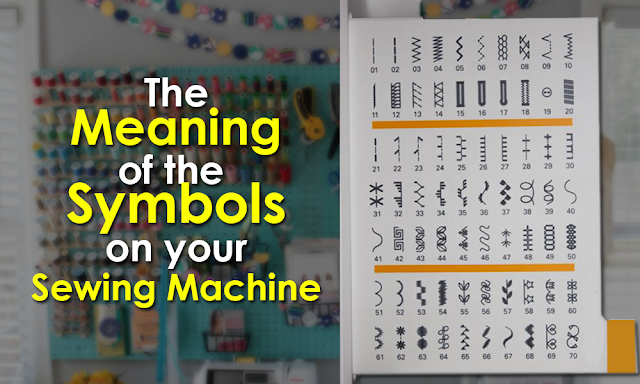 You can even re-iron the same pattern piece multiple times without it loosing it’s “stickiness”. 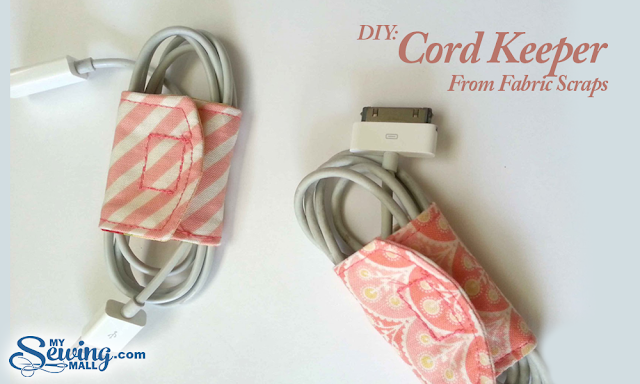 *Special note – If you are working with knit or a more delicate fabric, be extra careful to peel the paper off very, Very slowly to avoid stretching the piece out of shape.